The new CK-05 order picker manufactured by Chinese materials handling company EP Equipment is now available in Australia from Lencrow Materials Handling. 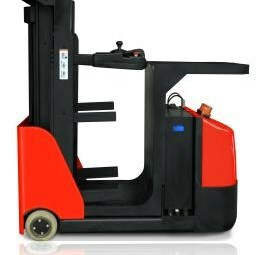 The EP CK-05 order picker is powered by four maintenance free batteries, which deliver longer duty cycles due to stepless control offered by their AC operating systems. Designed to pick and pack products to a height of 5000mm, this unit offers improved workplace health and safety procedure to companies currently use ladders for picking single orders from higher than ground level. At 820mm wide, the CK-05 allows access in tight areas and with a turning radius of just 1385mm the unit is also very maneuverable. Lencrow says the machine offers more than 80 percent lifting capacity to other work assistance vehicles giving better stability and larger operator load combinations. Based in China, EP Equipment specialises in electric materials handling equipment offering units that incorporate the best components sourced from manufacturers worldwide. With features like automatic brake application when stopped and regenerative braking in deceleration, the EP CK-05 offers both exceptional performance and driver ergonomics. "The EP CK-05 offers a more stable unit with capacities that reflect the requirements of our customers' needs," says Lencrow General Manager Ross Grassick. "I was also impressed with the unit's ease of operation using a steering wheel to maneuver allowing better direction control than other units I had tried." 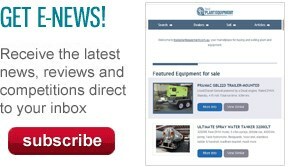 Find out more about the EP CK-05 on Lencrow Materials Handling's website.